Dr Kiran Peddi is a popular Consultant Gastroenterologist and an healthcare entrepreneur. After a tenure of 11 years in UK and 1 year in Australia, he relocated back to Hyderabad, India in 2010. He was the second person to set up Endoscopic ultrasound service in the then united state of Andhra Pradesh. After leading Luminal Gastro services at Global Hospitals Hyderabad for 6 years, he started the department of Gastroenterology at Citizens Hospital and quickly established a state of the art and busy unit. He speciality areas include Advanced Endoscopy and IBD. He has vast clinical and research experience in the same area. He has postgraduate and super speciality qualifications from UK and has sub speciality certification from Western Australia. 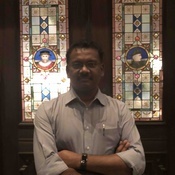 Dr Kiran also has lot of passion in medical education and is the co-founder of Oslers academy (www.oslersacademy.com) which offers high end medical education and training to junior doctors in obtaining skills and higher national and international qualifications. He established several medical education training programs such as Internal Medical Modules, BUGET (Endoscopy training), SAETIG, GULP (Gastro Updates for LEarning Physicians). He is also the co-founder of Innovate Health systems (IHS), which runs super speciality clinics at par with international standards.He played a key role in making IHS to be recognised as an International MRCP examination Center, that is the 6th in India. He is the founder of www.thegastrointernational.com, which offers online consultations to patients suffering from various gastrointestinal and liver diseases. He pioneered Innovate IBD service that operates on a proprietary "KP-3P" model in treating IBD patients.